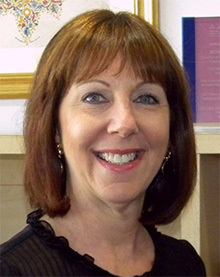 Ruth & Norman Rales Jewish Family Services (JFS) has announced the promotion of Beth Levine to Senior Vice President, Chief Operating Officer. In her new position, Levine will oversee four departments of the agency including counseling and mental health services, senior services, food and financial assistance, and the Weisman Delray Community Center. Throughout her 21 years at the agency, Levine has served in a variety of capacities, most recently serving as Director of Programs. Levine received a Bachelor's Degree in Business Administration from the University of Miami. A resident of southeast Florida for 37 years, she has lived in Boca Raton since 1986. Since 1979, JFS has offered help, hope and humanity to support people of all ages and beliefs. With locations in Boca Raton and Delray Beach, JFS programs and services include food and financial assistance, senior services, counseling and mental health services, vocational and employment services, and many volunteer opportunities. 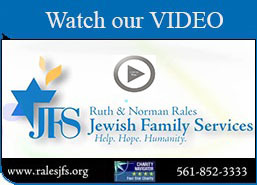 For more information about JFS, visit ruthralesjfs.org or call 561-852-3333.